Considering the outlandish nature of the comic book series, it's very likely that fans will never see a big screen version of the Marvel Zombies limited series. The five-issue run is set in an alternate universe where the world's superhero population has been infected with a virus which turned them into zombies. 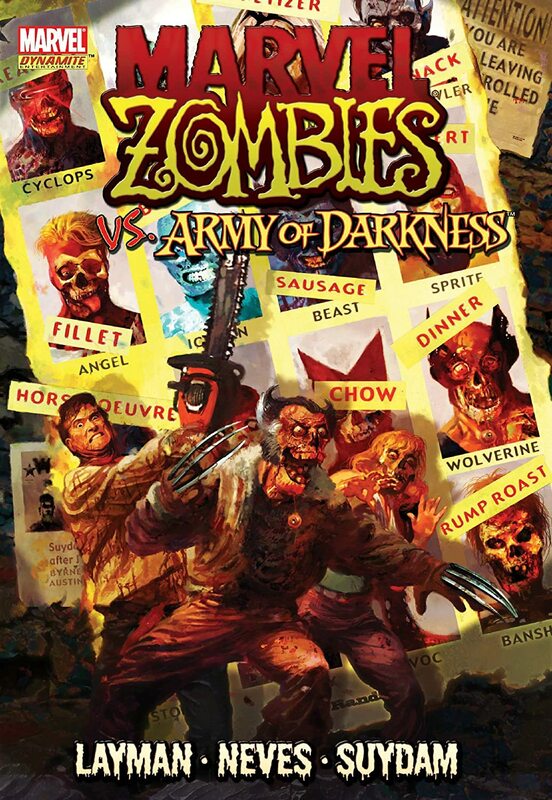 Therefore, it's even less likely that we'll see that other five-issue comic book series that followed: Marvel Zombies vs. Army of Darkness. That comic book series brings Bruce Campbell's Ash character from the third film in Sam Raimi's horror series into the Marvel zombie world, and makes for some epic horror mash-up goodness. Now someone has taken the time and passion to craft a fan film bringing the series to life. Watch! The story follows Peter Parker and Gwen Stacy trying to survive a zombie apocalypse, and they soon find themselves threatened by zombie Wolverine, leaving it up to Ash to save the day by slaying the Deadite mutant. The acting could be a bit better (though the guy playing Ash does a decent job of impersonating Bruce Campbell), but the production value is the real star. Plus, this writer particularly enjoyed the use of AC/DC's track "Big Gun" from Last Action Hero. This is a pretty cool fan film, and it's probably as close as we'll get to seeing this Marvel horror arc come to life unless the comic studio decides to get really bold. The original video was removed from YouTube, but they have quietly uploaded the film on Facebook (see above). Haha that was pretty awesome. I agree on the acting, and the fact that we will probably never see a film about this, or probably even see Wolverine, Iron Man, and Spider-Man together in one film.